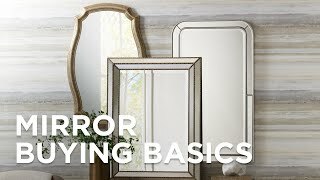 This tilt adjust wall mirror will help you look your best, and features a stylish frameless mirror design. Give a fresh look to bathroom or dressing areas with this beautiful mirror design. It features an oval-shaped, frameless design with polished chrome finish brackets. The glass tilts to adjust, making it ideal for a bathroom or for a dressing area. The mounting brackets are 100 percent solid brass. Beveled glass mirror edge for a more finished look. 100 percent solid brass construction. Glass tilts to adjust view. Hang weight of 10 3/4 pounds.